day 4221: someone needs a JAY OH BEE. odin has discovered that he really likes downhill skiing and he’s pretty good at it. 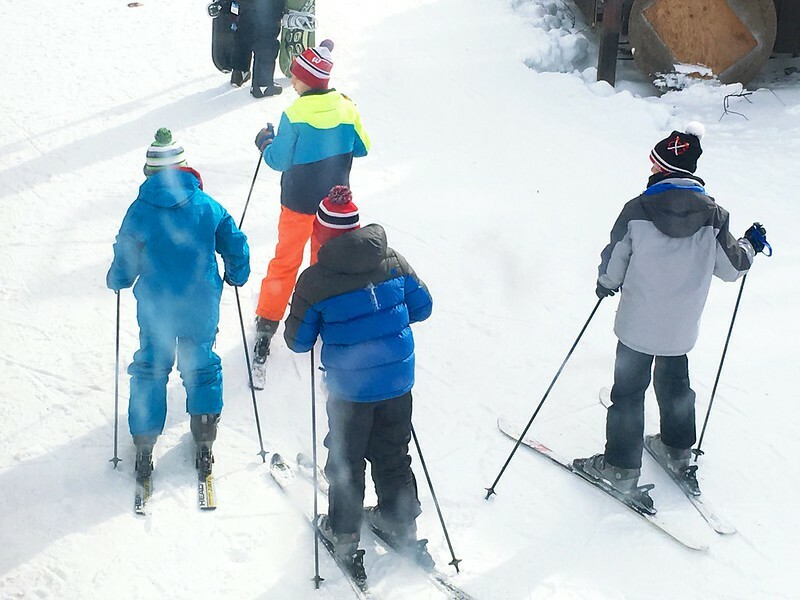 today he was on the slopes with friends for 7 hours ( he’s in the red hat and blue and black coat )! which is all cool and everything, except WHY DOES HE PICK THE MOST EXPENSIVE SPORTS TO LIKE! the lift ticket alone is $48?! Previous Postday 4214: pre hockey tournament hotel room xbox hockey.Next Postgah. jerk face running brain. Yeah……. The Kid’s coach just told us we need to upgrade her skates to a stiffer boot.